A classic creating pairing a formal textured black background with a woven floral design alternating with tiny white polka dots. 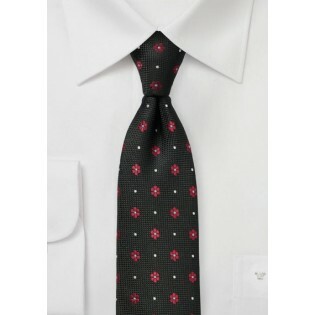 A fantastic choice for solid white, gray, or trendy black dress shirts. 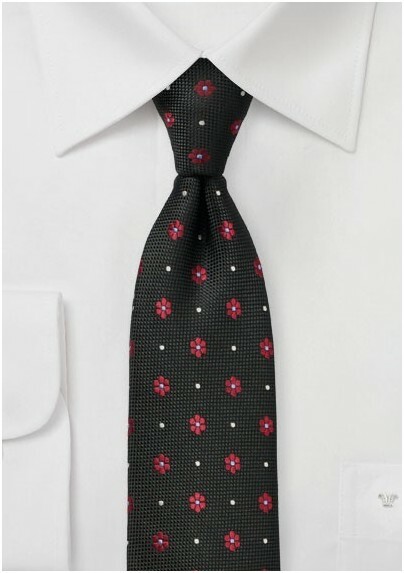 Made from a high quality woven microfiber by one of our favorite neckwear brands. Also adding to the modern feel is the slightly slimmed down cut measuring 2.75 inches at the widest part.